Incredible gift! Webster’s Dictionary defines gift as a notable capacity, talent, or endowment. Hills-Beaver Creek Schools have been given an incredible gift from the Frank Boon Trust. You may or may not remember me discussing in earlier newsletter articles about H-BC’s desire to improve its technology situation. The technology improvement that H-BC will realize is at the hand of the Frank Boon Trust. On Monday evening, April 24, the Hills-Beaver Board of Education accepted $215,909.21 from the Frank Boon Trust. 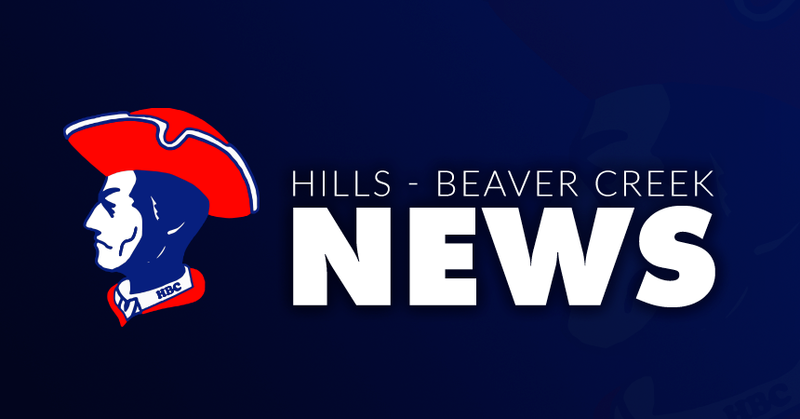 This gift is truly incredible and will allow for many different enhancements to the offerings coming from Hills-Beaver Creek Schools. Stay tuned as different items develop and planning continues. Thank you Frank Boon Trust! Hills-Beaver Creek is looking forward to many different activities in the month of May, as we conclude yet another successful school year. Stay tuned to the district’s website for many details that are communicated regarding all the activity. Visit www.hbcpatriots.com. As a school administrator, I am so please to see the growth in so many ways that our students demonstrate throughout the school year. It is my goal to continue to foster growth in students to the best of my abilities! It takes a great amount of teamwork to provide experiences for the growth and maturity of our H-BC students. A great supportive community, families, school volunteers, and school staff at H-BC make up that team that provides! I appreciate all the good things those individuals bring to making our students great! Planning for the 2017-18 school year! We will see several renovations to the district’s football field, additional green space to the west of the school should be getting completed, and a new wireless network with new wireless access points and better coverage throughout both of the district’s buildings! Those are just a few of the changes that are on the docket for next year! Speaking of next year…5th grade parents stay tuned. Your 5th grader will be coming over to the high school for a quick visit one morning this month, as their home base will be at the school in Hills. I want to thank our outgoing staff that will be leaving us at the end of the school year! Thank you for your work with our students over the years! Mr. Bosshart has been with H-BC since the 1984-1985 school year, 33 years! Congratulations! H-BC wishes you well in your retirement! MCA Testing Continues All scheduled MCA testing will wrap up by May 12. Thank you to our students for their hard work on completing the MCAs in a strong fashion. Seniors: On May 26 at 7 p.m. we will be saying farewell to a fine group of seniors. Over the years this group has represented H-BC and themselves well! I wish all of you well with your endeavors and that you all will find success! For more information about graduation activities, see page 3. Thanks to all the folks that make H-BC great! Great students, great parents, great families, great staff makes for a great school! Hope you all have a safe enjoyable summer.